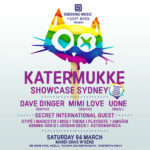 Katermukke (Berlin) and Vision Hound (Melbourne) join our next SubClub for what will be a very special celebration of sexual freedom and sexual identity. Let’s help spread the love and work together as a community to eliminate discrimination and prejudice in all its forms. As always, the Bridge will be decked out, pimped up and blingin’ for your mind to indulge on in true Subsonic style, with plenty of attention to detail in sound, lighting and decor. And on this colourful day we’ve got a spankin’ 4 out-of-towners comin’ in to weave their magic. – Dress up is compulsory, otherwise you will be charged a fee for lack of commitment. – Doors open at 8pm & there is a LOCKOUT between 3-6am, with doors reopening at 6am for the after hours. The much anticipated MiMi LOVE will be in control of the morning courtyard session with her eclectic collection of worldly sound selections, seamlessly crossing genres, moods and vibes. Her charisma shines straight through her music ; there’s no better way to understand her than on the dancefloor. She’ll be touring with Berlin’s renowned DAVE DINGER, Bachstelzen and KaterBlau resident, renowned for his over-the-top sets and high energy behind the decks, who tore up the main stage at last year’s Fusion Festival, plus another very special secret Berlin surprise guest (trust us – it’s a good one). 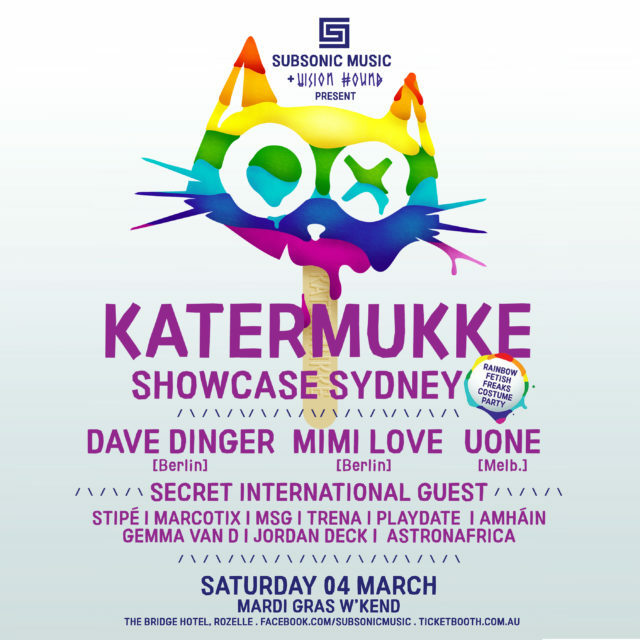 Joining the armada is Australia’s own Katermukke DJ & Producer UONE, known for rocking dancefloors all over the world who’ll be flying in to sprinkle his funky dust over the wheels of steel.